North West Loves Makeup—Are We That Surprised? We are used to hanging on to Kim Kardashian's every wardrobe change and hair makeover. She's pretty much the reigning beauty queen of the 'net, but she may not have the title for long because daughter North West is apparently obsessed with makeup, according to her mom. Are we really that surprised? Kim Kardashian dished about Nori's beauty and style habits to Harper's Bazaar, saying North's style, like any toddler's, is a little eccentric at times. Nori, I say you do you, baby boo. I'm proud Kim isn't afraid to throw style to the wind and let her daughter live and learn via her clothes. This is the age of exploration, after all. People rag on Kim for how she dresses her mini me, but let's be honest: most first-time mamas are picky about how their kids look while out in public. Of course, the contour queen herself can't help but rub off a little on her daughter. 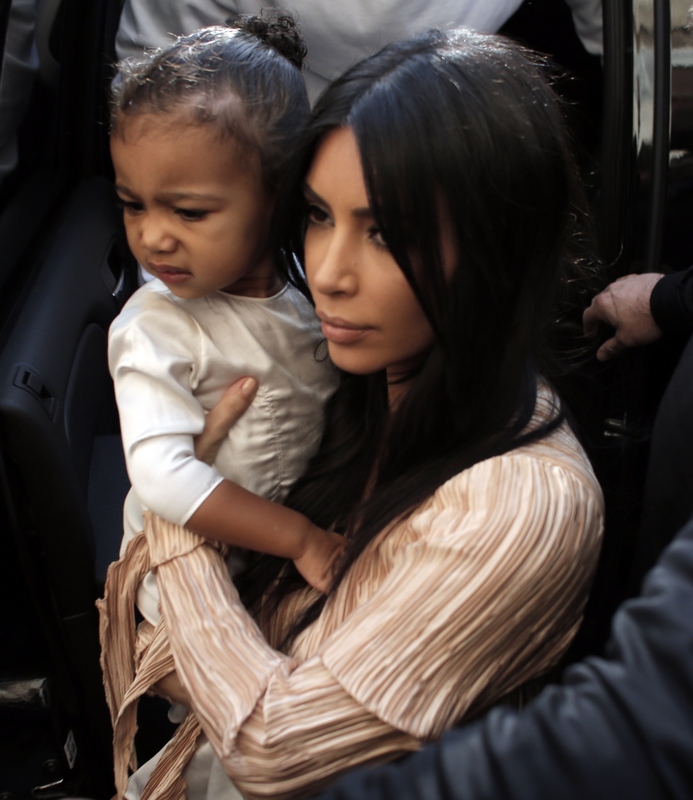 Kim says North loves to play with makeup, usually insisting on some pre-bedtime purse digging. “She really does love it all. She loves makeup. Every night we play, after her bath, in bed, and you know my purse is always kind of by my nightstand, so she always says ‘purse!’ So she grabs my purse, and that means she wants my makeup bag, so I give her my makeup bag and it’s empty. And if I just turn around for one second, she has my lipstick like all over her face. So I have to give her her own little makeup bag. She’s obsessed with makeup and watching me get ready and getting ready herself. She just loves the process, she could not be more ultimately girly-girl.”Naturally, North gets her own bag because lord knows how much mom's lipstick is worth. Like any Kardashian fan, I'm excited to watch North grow up and into her own style. Maybe she'll bring animal backpacks back for good.